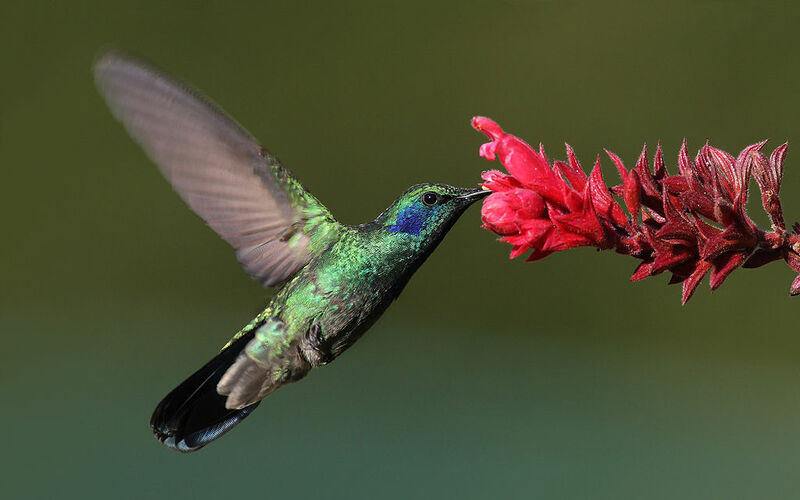 Ever since Google announced the “Hummingbird” update on its 15th birthday, the web marketing and search engine optimization (SEO) community has been all aflutter (pardon the pun) with speculation about what this massive overhaul to Google’s search engine really means. As with Panda, Penguin and the other changes to Google’s algorithms over the last few years, my recommendation to our clients and those who we’ve trained in our small business marketing training courses is to carry on as before. Why would I recommend doing what you’ve been doing? By writing new articles (specifically: blog posts using WordPress) and publishing them to your website (or perhaps a blog site separate from your main website), you create the one thing Google needs most in order to evaluate your site: text. Let’s not forget that at the end of the day, Google is a text machine. Google and the other search engines devour text like a pack of lions on a fresh kill. A common thread running throughout our content strategies is that people have (historically) run Google searches based upon the problems they have rather than the solutions. There are many exceptions to this “rule,” and search has been changing dramatically in the last few years (more on this in a moment), but overall it’s a fairly safe bet that people will try to use Google to solve their problems. The great thing about writing about your customers’ problems is that it gives you an excuse to write about the solutions you provide. Writing about solutions serves the business objective behind this whole idea, of course, but in fact is secondary to the main point. The main point is to provide value to future customers (and maybe existing ones, too!) via this content. Every business has this. You may or may not have documented it in a training manual, but your business answers a certain set of questions all the time. Your new employees have to learn these answers to become fully effective, and perhaps the list evolves frequently, but nevertheless there is a set of FAQs. Of course many websites include a section just for FAQs, but that’s not what I’m talking about here. I’m actually talking about taking each question, writing it out, and producing a blog post just to answer it. A great example that’s fresh on my mind involves how to get rid of love bugs, which became the substance of two separate blog posts for our client, Good News Pest Solutions. If you don’t live in Florida (or another southern state as far away as Texas), you may have no clue what a nuisance these little critters can be… for about one month twice each year (usually in May and September). If you haven’t dealt with them, then you get to miss out on the pile-up on your vehicle, the damage to its paint job, and the swarming around your house. Overall, they’re fairly harmless critters (they don’t bite), but they’re a major annoyance. Now… the pest control company in Sarasota, Florida that published these posts doesn’t actually treat for love bugs per se, but they are the leader in dealing with pest problems of all kinds that Florida residents face. So… while the love bugs post may not have directly related to their business, it did directly relate to a problem that their customers (and future customers!) face twice each year. So the content delivered value without being directly self-serving. The beauty is that content like this attracted a huge bump in traffic to the company’s website. Doubtless, many of these visitors were even outside the service area for this regional company. However, for those visitors who came to their website from within the service area, this post scored major points for the company in terms of brand equity, building trust and credibility, and demonstrating their overall high-quality service approach to business. And… the content was great for social media sharing. It also perpetuated a hard-won “reputation” with Google for the kind of original, high-quality content that we’re talking about here. Even more importantly: it’s great for Hummingbird. At the risk of oversimplifying, Google’s new Hummingbird update is about answering questions for Google’s customers: the people who run searches. In a way, this overhaul of Google’s search engine is focused on delivering better value to searchers based upon the major ways that mobile devices have changed how we search. Today, we “ask Siri” or use Google’s “voice search” features that are baked in to Android devices. We ask Google’s search engine for directions, we look for what’s nearby, and we ask Google to define words and provide all sorts of random information. But if you’ve been following our recommendations all this time, then chances are your site is performing very well with Hummingbird, because your content is now part of the knowledge graph. Keep creating fresh, original content. Keep writing about your customers’ problems (even ones you may not solve). Keep answering their questions. Keep delivering value. This is exactly the sort of text Google is looking for so it can deliver great value to its searchers.